Congratulations. Impressive coin. That me be the earliest coin I have seen with the "carpet beater" symbol (9 o' clock right picture). It looks like a clan tamgha. That would jive nicely with its use by the Mughals/Mongols. It is certainly not a tamgha. 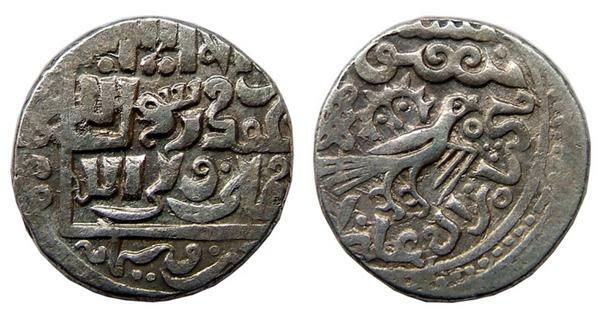 Generally we see the crescent shaped tamgha on the coins of Hulagu and Abaqa, more rarely on Arghun(not Hulagu's but tamgha of Mongke). It is known as "saadet" knot (saadet in Turkish means happiness, bliss, welfare) which is used as a charm I suppose. I see altaycoins and Maythem agreeing on that it's an ornament. Very interesting. I know similar ornaments from Korea and - to a lesser extent - China. They are made from one piece of rope and generally end in a tassel. You may find miniatures in Chinese fluffware shops to hang from your car rearview mirror just in case you absolutely need something dangling in your peripheral view when driving. I am not altogether happy with that explanation. If I could describe the ornament discussed here as a six-loop, Akbar and some of his successors use a two-loop on their coins. The question arises why individual rulers use one knot and not the many other knot forms available to them. It looks like there is a connection between the individual(s) and the knot. In that connection, consider that military uniforms hadn't been invented yet. How did soldiers distinguish friend from foe in the heat of a battle? Yes, banners were known, but they are good for groups of fighters only. IIRC, 6th century Celts were already painting marks (inspired by the banners) on their shields. Thank you Peter for your useful comments. 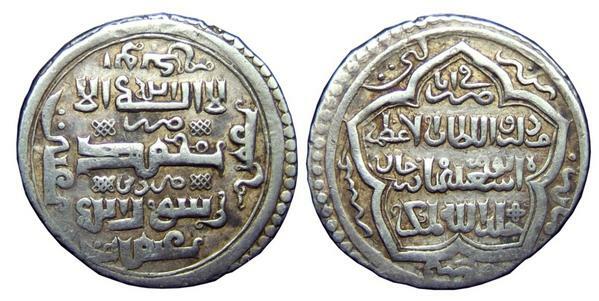 You can even see a similar motif in the modern Turkish coinage. Eye-popping coin. I am not used to seeing them so sharp and well struck. TFP! I agree that the key is not in the number of loops. Akbar wasn't modest enough to have used only two loops if it were. It's just my way to distinguish different knots. Why would the use be largely confined to rulers in Anatolia? Is it considered a symbol of something? It is also the symbol of unity and interconnection which very well fit to the geopolitical and antropological situation of Anatolia. I have found an article that states that this symbol is used in Anatolia since antiquity but I don't have an example from ancient coins at the moment.